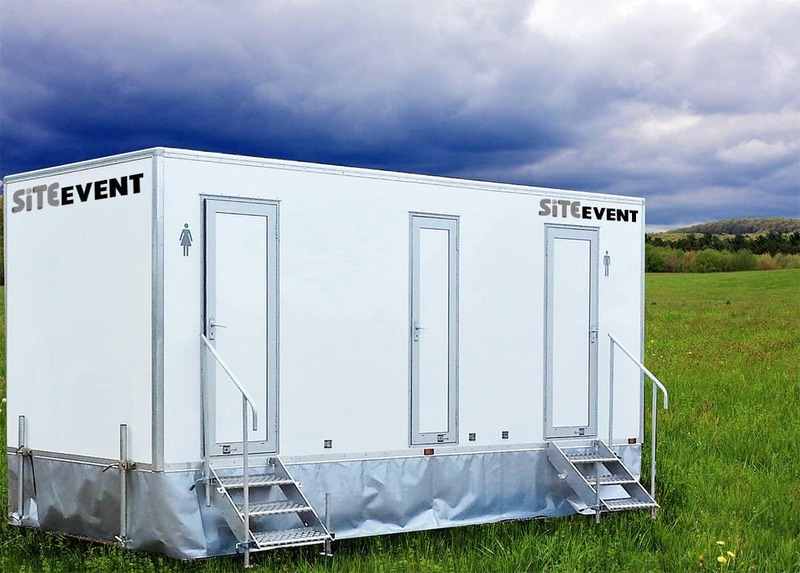 There are many benefits to hiring toilet trailers for events as they meet a multitude of needs and give your guests the luxury they deserve. 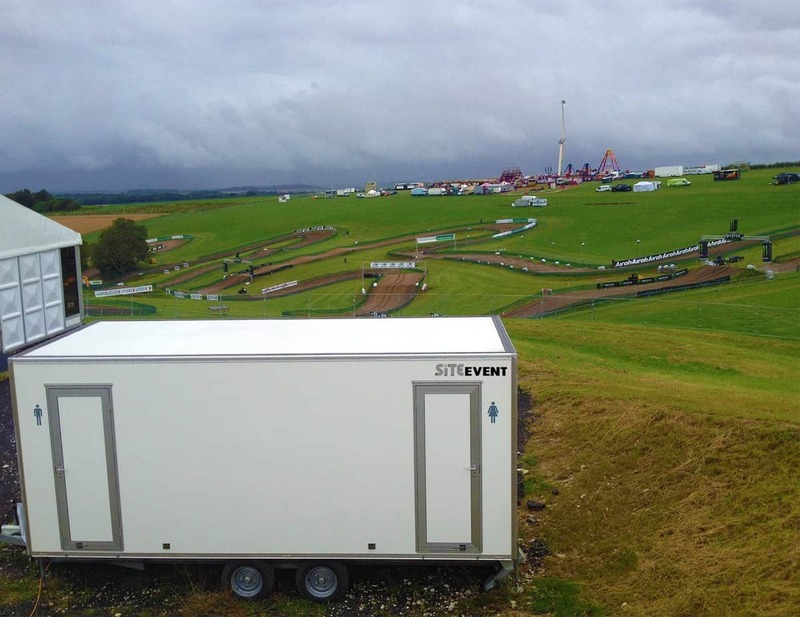 Toilets for events may not seem part of planning when it comes to the aesthetics, but toilet trailers can add contemporary style to makes your event stand out. Luxury trailer units are suitable for formal functions, outdoor events and large parties. The inside is just as important as the outside. With wood laminate flooring, shiny chrome taps and sparkling porcelain sanitary-ware, your guests can have a luxurious toilet experience. Self-contained portable trailers include towing frames making them easy to transport to all sorts of locations. 4. Home from home toilets! Compared to a standard single portable loo, toilet trailers offer the comforts of home. Integrated heating, lighting and even a CD player can make all difference in creating comfort. Trailer units are neat and compact in size, but they also offer a generous amount of space inside to be able to move around, which is beneficial to people with small children. Mobile toilet trailers can easily be adapted and made bespoke to the event. The interior décor can be modified to fit a particular theme or to simply add a personalised touch, perfect for weddings and parties. 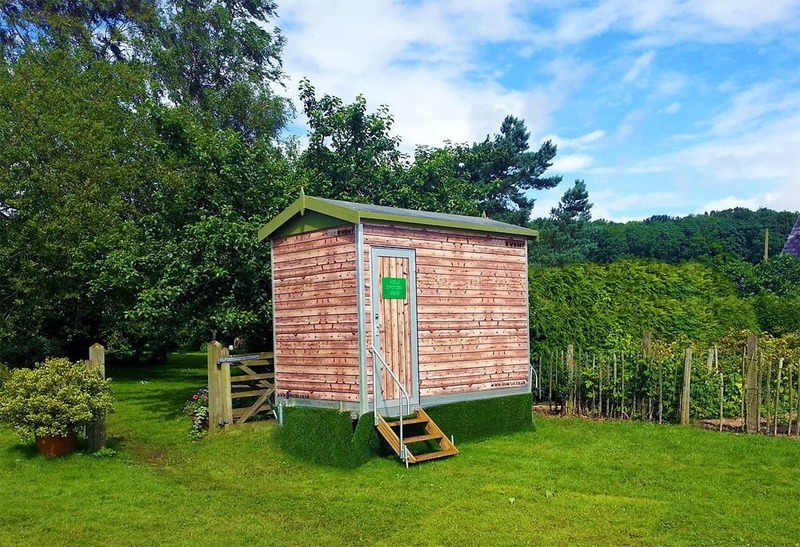 We have a range of fun themed trailer toilets that could give your event that extra bit of quirkiness. 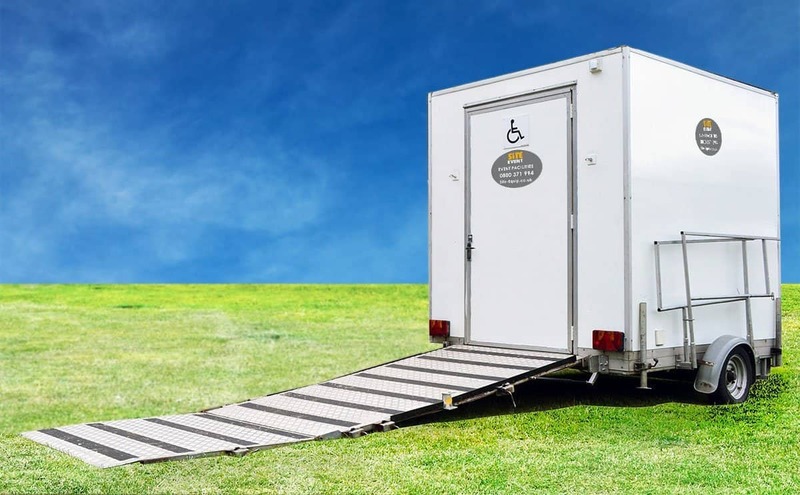 With Site Event’s disabled toilet trailer you can ensure easy access for all your guests with aluminium ramps and LED lit steps to be accessible at all time, day or night. 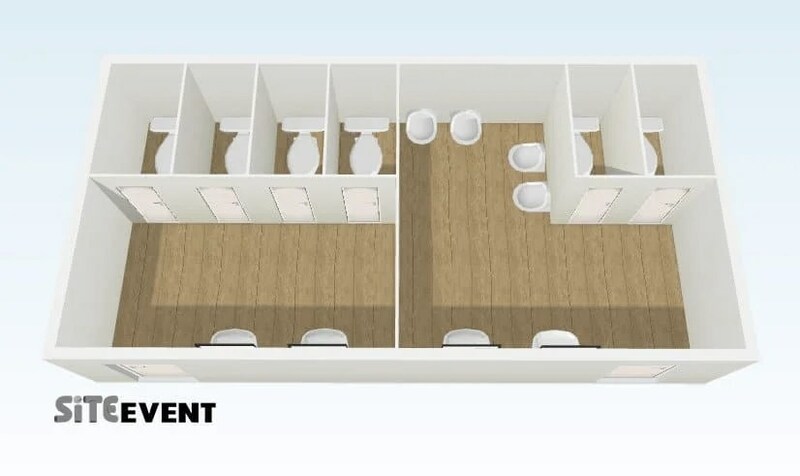 Toilet trailers combine a number of loos either side of the unit so they can be divided into female and male, alternatively the trailer can be used as an all female or all male unit. 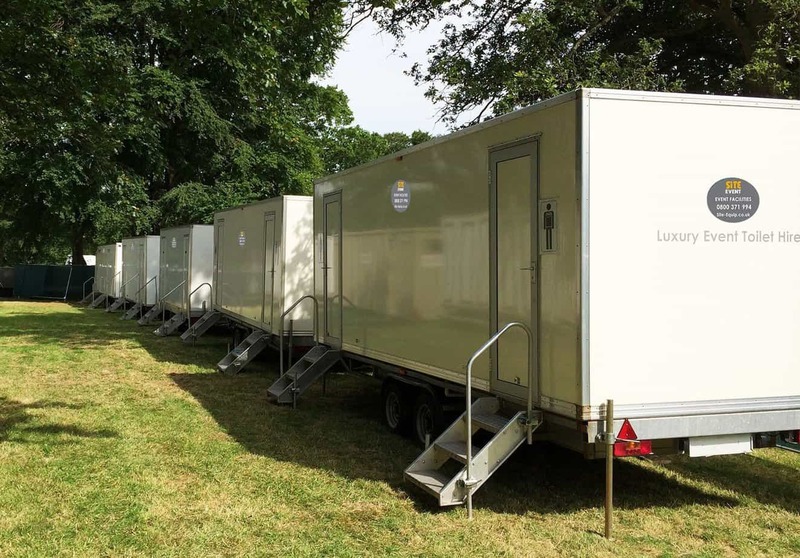 With trailers equipped with multiple toilets and washbasins, they are made to cater for a large number of guests for the duration of an event. 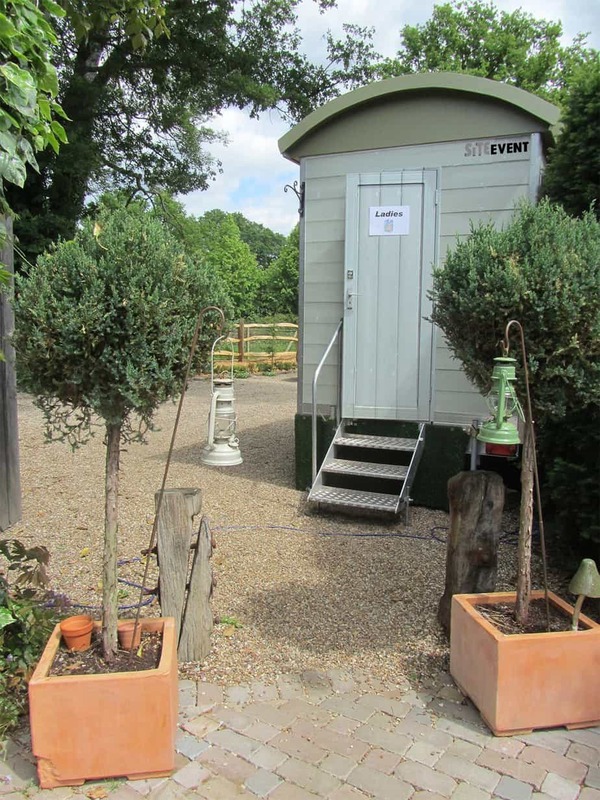 Site Event have a large range of units in a number of sizes, perfect for every event. 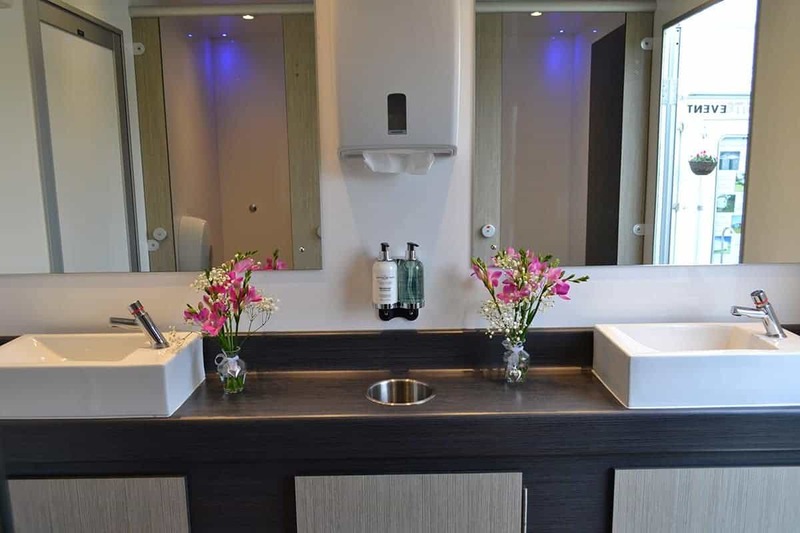 Want to hire toilets, urinals and hand washing facilities for an event? Well a portable toilet trailer is the best solution combining all the above in one self-contained unit, including all the consumables such as toilet roll, hand towels and soap. 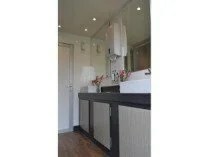 We have a wide variety of luxury toilet trailers available for event hire at competitive prices. Call 01256 384134 today to find out what we could do for your event.